The buscket contains 4 gallons of Fire Starter that out protects, out performs and out lasts other fuel sources and fire starters. With a shelf life of 30 years, it out lasts wood, pressurized fuels, heating oils and coal. With just a match, Instafire easily lights and continues to burn with stable, predictable flames. If the disaster involves high winds or wet weather, this Fire Starter will still light and burn. 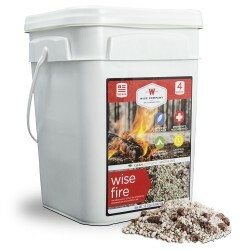 In addition, the WiseFire provides 180 fires, and yet it only weighs 14 pounds. It is ideal when moving quickly in an emergency or easy on your back when arranging in storage. 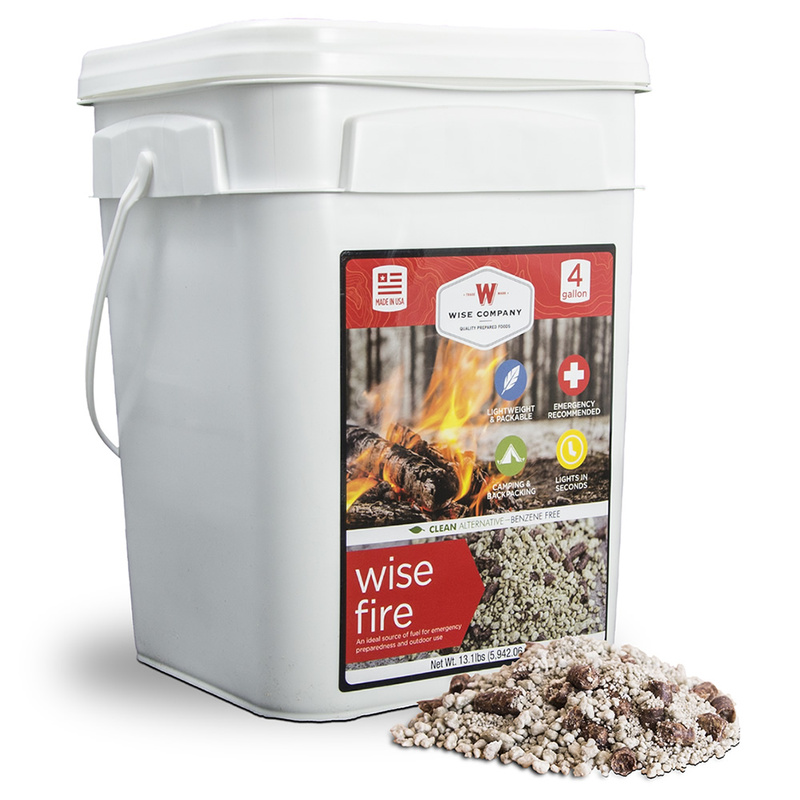 Overall, WiseFire out does any other comparable product.